RYU Apparel Announces 2nd Toronto Store: Vancouver-based urban athletic apparel brand RYU Apparel Inc. has announced that it will open its second Toronto retail location at CF Sherway Gardens in the fourth quarter of 2018. "We are thrilled to announce our second location in Toronto, as the local athletic community here has embraced RYU and what we stand for," said Marcello Leone, CEO. "We have been encouraged to expand our retail footprint to reach new communities in the GTA and we continue to solidify our presence in Canada's most urban city." RYU Apparel’s first Toronto store opened at 361 Queen Street West in the fall of 2017. The company also operates four stores in the Vancouver area — its first opened at 1745 W. 4th Avenue in early 2015, followed by stores at 805 Thurlow Street (near Robson Street) in Vancouver, at Park Royal in West Vancouver, and at Metropolis at Metrotown in Burnaby. RYU has also announced that it will open three stores in the United States — the company’s website lists Brooklyn NY, Venice California, and Newport Beach, California (at the beautiful Fashion Island centre) as future locations. Originally founded in Portland, Oregon, RYU or 'Respect Your Universe', is an athletic tech-style apparel brand engineered for the fitness, training, and performance of the multi-discipline athlete. Marcello Leone, son of the founders of Vancouver-based multi-brand luxury retailer Leone, took the company over in 2014 and spearheaded an overhaul which saw its headquarters moved from the United States to Canada, choosing his hometown of Vancouver to be its new corporate address. RYU's intention is to become the world's top multi-discipline performance training and fitness brand, according to Mr. Leone. Jeri Brodie of Aurora Realty Consultants represents RYU as broker in Canada. 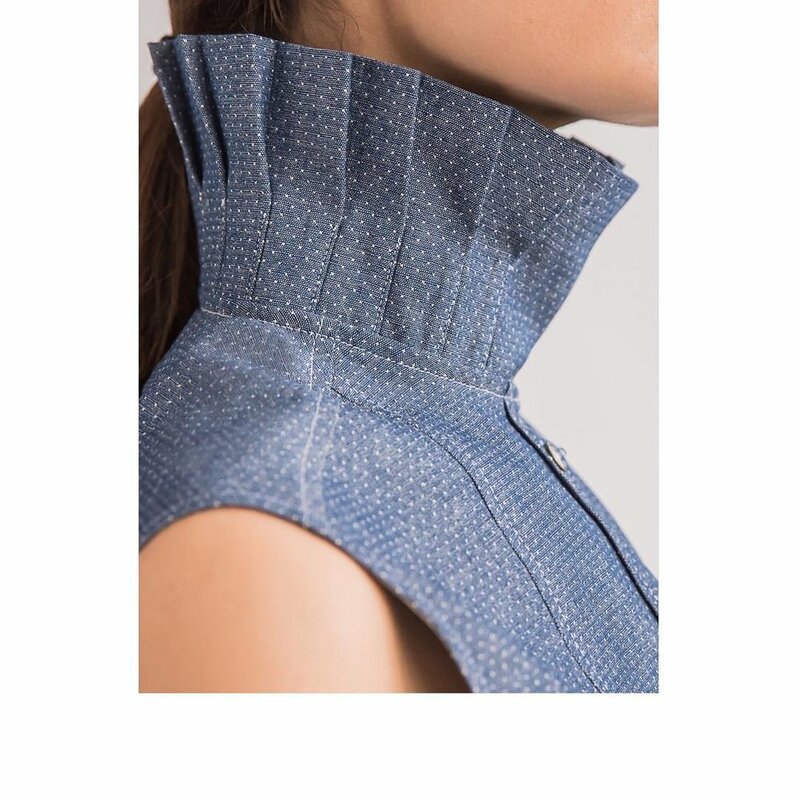 Toronto’s Pretty Denim Launches Online ‘Denim Revolution’: Pretty Denim, a new luxury denim line, has created a denim collection that boldly addresses a significant style gap in the women’s denim market. Designer and co-founder Tahnee Lloyd-Smith intends to create a denim revolution with a distinctive style, with focus on finishings, fabrics, and fit. The brand is in the process of launching with a full capsule collection called “Her” for Spring/Summer 2018. Soon to be available online only, “Her” features 14 items (7 pants, 4 tops, 1 dress, 1 kimono, and a bomber jacket) of raw Japanese and Italian denims, including pants with fishtails and copper paint, shirts with chic collars, and beautiful buttons. Pretty Denim is the brainchild of Toronto-based husband and wife team Bob Froese and Tahnee Lloyd-Smith. Bob owns the advertising agency behind the successful Canadian launches of Kenneth Cole, Calvin Klein Jeans, and Alfred Sung. Tahnee brings five years of luxury men’s styling experience that ironically helped inspire the creative direction for the “Her” collection. Produced in Toronto and aiming to appeal to women who prefer online shopping and are comfortable in denim but wish to have a dressier look. Froese and Lloyd-Smith are interested in bringing “Her” to communities across Canada via a series of pop-ups. If you think Pretty Denim would be a good fit for your community, please drop them a line! Casper Mattresses Seduces Hudson’s Bay with Promises of Sweet Dreams: Sleep innovator Casper has just launched a national retail partnership with HBC, bringing their award-winning sleep products to select Hudson’s Bay stores across Canada. With more than 35,000 5-star reviews and nearly 2 million happy sleepers, Casper markets itself as ‘the internet’s favourite mattress.’ All Casper mattresses feature high-quality, breathable foams in two options - The Essential streamlined mattress starts at $450 and the signature The Casper starts at $725. Good night sleep seekers will be able to acquire the mattresses online at thebay.com and in-store at 13 Hudson’s Bay locations in Toronto, Vancouver, Ottawa, and Calgary. The Casper mattress will be on display in-store, allowing customers to experience the product in-person before purchasing. Shoppers can also purchase Casper products in the store to carry out or deliver to their doorsteps. As Canada’s most prominent department store and destination for home inspiration, Hudson’s Bay was a natural partner for Casper to reach even more customers and bring better sleep to Canadians across the country. Morguard Brings Home Two More HOOPP LEAP Awards for Sustainability Excellence: Mississauga-based Morguard Investments Ltd. has been recognized by Healthcare of Ontario Pension Plan ("HOOPP") for the company's exemplary focus on sustainability best practices — one property is in Vancouver and the other is in Calgary. In 2018, Morguard adds two Leadership in Environmental Advancement Program ("LEAP") Awards to its collection, which now includes 14 distinctions across nine categories since the program's initiation in 2012. "Our focus on Responsible Property Investing as a best practice allows us to identify and incorporate environmentally responsible initiatives proactively and efficiently. Moreover, effective collaboration with our partners and tenants is fundamental to our ability to uphold and constantly improve sustainability practices at our properties," said K. Rai Sahi, Chairman and CEO, Morguard Corporation. "We are honoured to be recognized as change drivers and pioneers in innovative approaches to sustainability. This is an opportunity for Morguard and our key stakeholders to strengthen our shared commitment to both value creation and operational excellence." 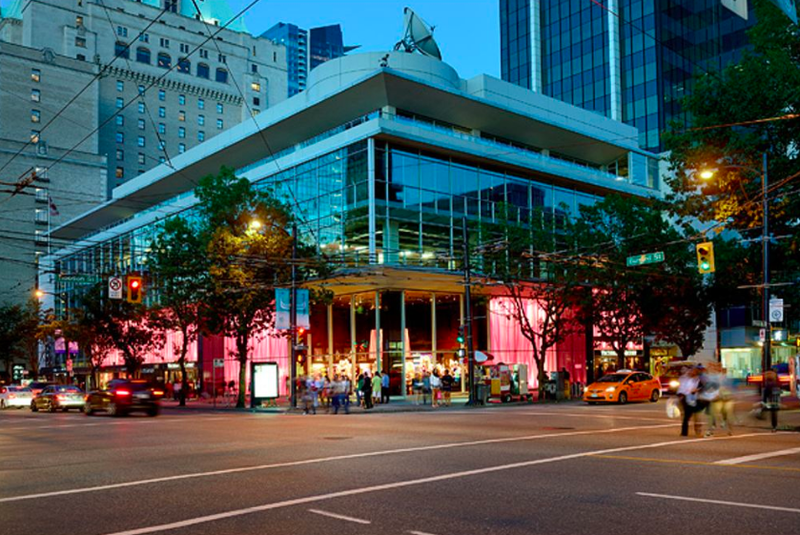 The Energy Saver: Performance Award went to the iconic Robson Central property in downtown Vancouver, which houses the city’s Victoria’s Secret flagship as well as a two-level Shoppers Drug Mart store. The award recognizes the outstanding reduction in energy consumption in 2017 at Robson Central. The HOOPP LEAP Award recognized a remarkable 20 per cent reduction in normalized energy intensity in 2017 versus the previous year; the building's 2017 energy spend was 54.2 equivalent kilowatts per hour (ekWh) per square foot, down from 68.6 ekWh/sf in 2016. Read the Robson Central case study on morguard.com. Morguard also received the Tenant Leader: Commercial Award for exceptional collaboration in Calgary between the property manager at 11th Avenue Place and tenant, BluEarth Renewables. Built in 2015, the 200,000-square-foot, Class A, office building, which is pending LEED ("Leadership in Energy and Environmental Design") Gold certification, is also a result of Morguard's commitment to working collaboratively with tenants to promote responsible energy consumption and drive cultural changes toward environmentally-friendly alternatives in the communities it serves. Read the 11th Avenue Place case study on morguard.com. RHOT Roxy Earle x LE CHÂTEAU Aim to Disrupt Sizing Standards in Fashion: Reality television star and Body Positivity Activist Roxy Earle and Canadian fashion retailer LE CHÂTEAU are hoping to change the fashion sizing game with the launch of their first joint collection. The first of three inclusive collections to launch this year, the line enables more women of different shapes and sizes to shop the same rack at the same store. LE CHÂTEAU is a long-standing Canadian specialty retailer and manufacturer with a network of 151 locations across Canada, an ecommerce platform servicing Canada and the US, and is well-positioned to reach the target market. Designed to empower all women to re-invent and modernize the sizing conversation, the RExLC collection aims to create a shopping experience that is not only accessible, but also enjoyable. Earle is bringing her #MySizeRox movement to life following the overwhelming response she received from women all around the globe. Featuring sizes ranging from 0-22W, the pre-order is now available online, with in-store availability on June 16th. 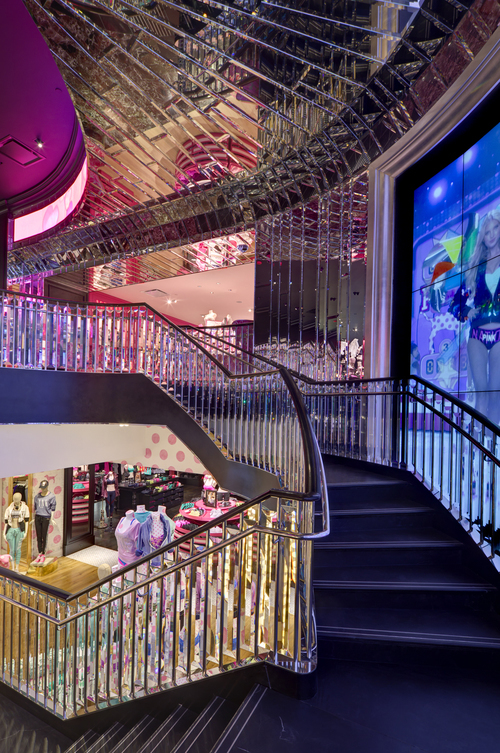 The collection features more than 40 unique clothing designs and 18 different styles of accessories ranging from footwear to handbags, and more. Givenchy says Bonjour Beauty with New Boutique at Holt Renfrew: Holt Renfrew welcomed a new brand to its lower level 16,000-square-foot Beauty Hall last week with an early morning influencer event. The iconic couture house Givenchy has created a beautiful 239-square-foot boutique which replaced skincare brand Darphin Paris in the prime real estate located at the foot of the central escalators. Nestled between Giorgio Armani and Estée Lauder, the Givenchy boutique features black and white lacquer cabinets, lots of chrome and mirrors, creating a chic offset to the signature black and bright floral packaging of the Givenchy products. The boutique is the only brick-and-mortar location in Canada to feature Givenchy's new line Givenchy Le Makeup. Holt Renfrew’s Beauty Hall was launched in July 2017 and can be accessed from the store’s oval atrium which connects the store’s three floors. The Beauty Hall features well over two dozen distinct brand counters, as well as nine private cabines that provide facial and skincare treatments by appointment. Christopher Bates Visits Vancouver to Add to Harry Rosen Capsule Collection: Now in its fifth season, the Christopher Bates Capsule Collection for legendary Canadian retailer Harry Rosen is expanding with three new styles. Bates, the Milan-based Vancouver design darling visited the city for a brief family visit and to add to his already stellar collection of luxury footwear that is designed in Canada and made in top mills in Northern Italy. The Spring/Summer 2018 season is now available in-store at select Harry Rosen locations and across Canada with the Fall 2018 collection to be available at Harry Rosen, Espy in Calgary and Gotstyle in Toronto. Before you think that Bates is all about black-tie affairs or lounging on your yacht, think again. This versatile designer recently showed his line of men’s casual wear at Toronto Fashion Week, dropped Air Canada’s new uniforms, and kicked it with an MTV Canada collaboration. 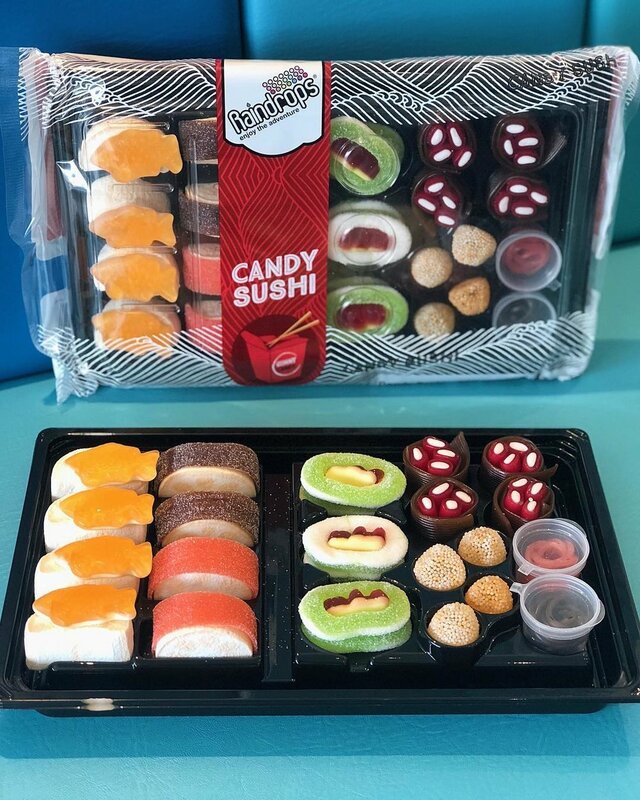 Sweet Sushi Bento Boxes Available at Yum on Vancouver's Main Street: With its opening barely a month ago, Yum Ice Creamery and Sweet Shop (but you can call it YUM) has been stocking over 200 varieties of sweet treats to keep the masses happy. For those who need more than one sugar fix per day, scoopable bins stock traditional sweets but also vegan, organic, and natural sweets. 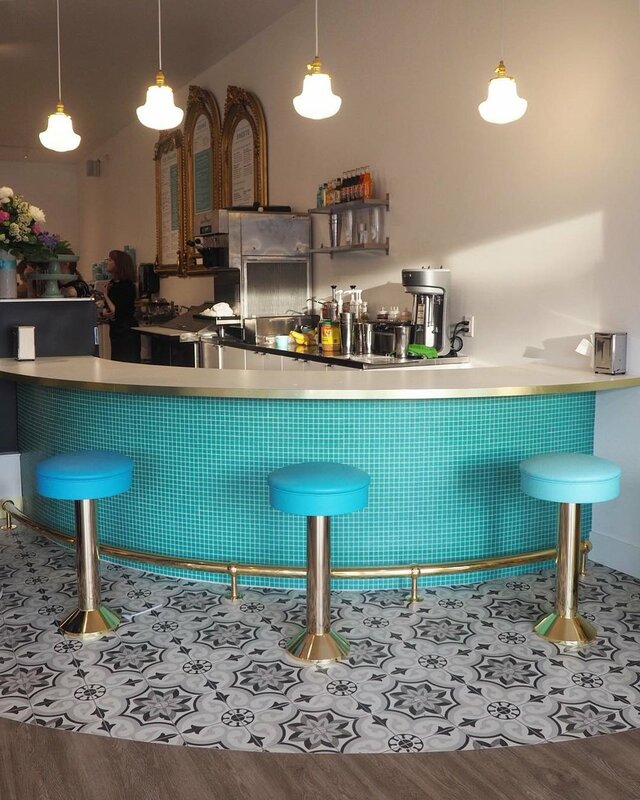 Bookended at 4150 Main Street by Sweet Revenge Patisserie and ShangPin Noodle House, YUM is 2,000-square-feet of ice cream, bubble waffles, candy, and gourmet baking; all tucked into a powder blue retro diner box. Owner Michael Gorenstein introduced the unique sushi bento boxes a week ago and they proved to be so popular in this city of sushi and sweet lovers that more are on order. At a reasonable $18 per box, it is no wonder they flew off the shelves. In the past few years, Vancouver has seen a surge of ice cream based businesses launching citywide - Earnest Ice Cream on Fraser Street, dairy-free Umaluma in Chinatown, Mister in Yaletown, and controversial Sweet Jesus in Metropolis at Metrotown, and Perverted Ice Cream off Robson Street. 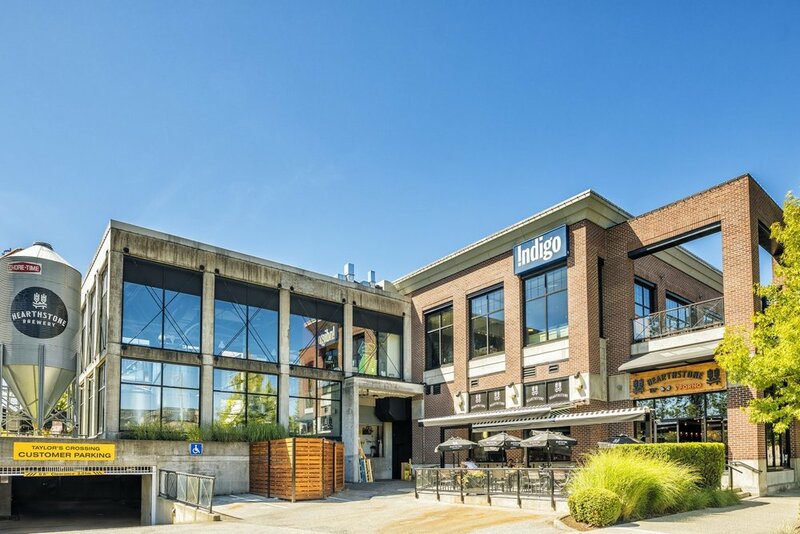 North Vancouver’s Indigo Bookstore a Closed Chapter: After deciding not to renew its lease at 1025 Marine Drive, Indigo plans to permanently close its large location at the Taylor’s Crossing retail complex later this month. Constructed in 2000, the 44,000-square-foot building, which is located on a 1.5-acre lot and includes the Hearthstone Brewery, Lussobaby, and Kids & Company, was sold last year for a price over the $23.4 million asking fee, leaving the Indigo bookstore at Park Royal as the last one on the North Shore. In recent years, Chapters, an Indigo-operated bookstore brand has closed their Howe Street (downtown Vancouver), Strawberry Hill (Surrey), and Ackroyd Hill (Richmond) locations. This fall watch for a spectacular flagship Indigo to open in the 29,000-square-foot, two-story retail space at 1033 Robson Street. Formerly occupied by Forever 21, the new massive location will no doubt have many new features to keep visitors engaged. In the past, Indigo has kept it fresh with the addition of music, cafes, and innovative offerings such as the Casper pillows and American Girl stores. Chris Wood, Northwest Atlantic Principal for Western Canada, represents Indigo and negotiated the Robson Street deal on behalf of the retailer.